Enhance your bedroomâ€™s dÃ©cor with the exciting contemporary design of this stunning hardwood framed beveled mirror. 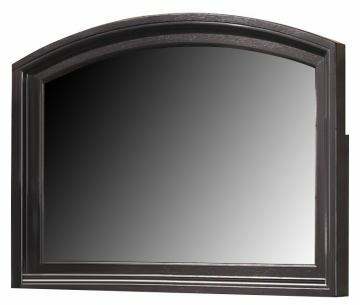 This mirror is the perfect companion piece to the matching ten-drawer dresser. 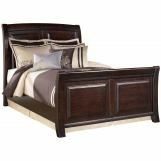 The dark brown finish flowing warmly over the select veneer and hardwood solids will awaken your bedroomâ€™s dÃ©cor.